The festive air of Indian restaurants usually hides the struggles of the Bangladeshi immigrants working there — Knights of the Raj is their story. Stepping into an Indian restaurant is always an experience, anything from regal elegance to constant party: lush curtains, strings of lights, bhangra music, elaborate decorations, plush cushions. But the lives of the often Bangladeshi chefs and staff couldn’t be more different, a contrast explored in Knights of the Raj, opening July 20 at Brooklyn’s Museum of Food and Drink. 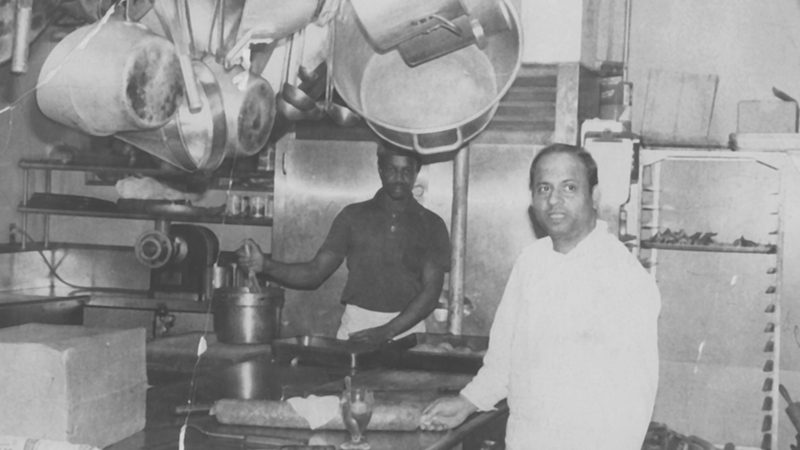 Knights of the Raj explores the history of early Bangladeshis who established restaurants in New York in the early 1900s up to the present. Ali recreated the East Village’s famous Milon Restaurant in the front room of MOFAD, where just 10 people at a time will enjoy a three-course meal of authentic Bangladeshi dishes and British-style curries. Then, the exhibit shifts: visitors step into the recreated bedroom — all of it, including the teetering filing cabinet acting as a dresser, shared with two roommates — of Queens street food legend Baul Dada, who at 89 years old still serves a savory snack called jhal muri from his Jackson Heights cart. “I wanted his furniture not to say, ‘Look how depressing this environment is,’ but rather as a respectful tribute,” he explains. Throughout are photos of restaurant and home life donated to the exhibit by some of New York’s 30,000 Bangladeshi immigrants. So when his father died 10 years ago, he started asking these questions, which would give shape to the first Knights of the Raj focusing on the Bangladeshi community of his hometown, Birmingham. Unlike most foreign food — or the less kind ways middle schoolers describe whatever isn’t the typical brown bag lunch — Indian curry was an instant hit in Britain. Ali’s father had been among the restaurant owners in the 1950s who helped make chicken tikka masala the national dish. 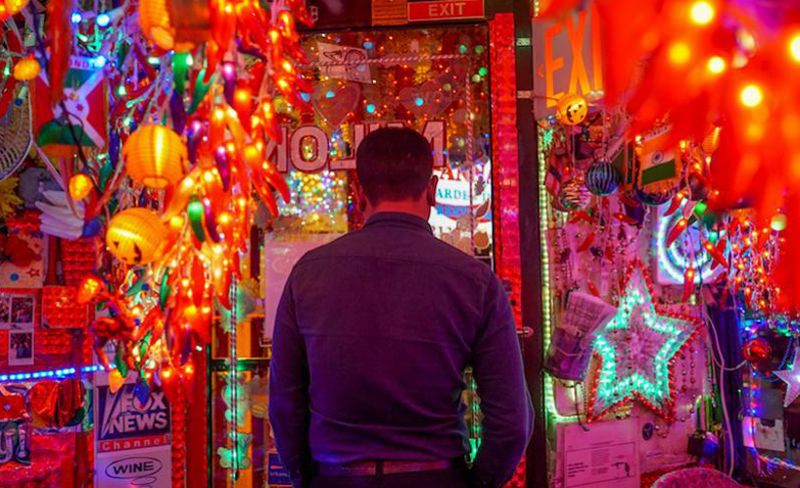 In New York, he spent six months searching for stories through the restaurants of Curry Row to Jackson Heights and Parkchester in the Bronx. Bangladeshi immigrants’ struggles in America didn’t start when they arrived, which first happened shortly after the Civil War. Like the Chinese in California, they were not among the desired kind of new Americans, and often jumped overboard and swam to shore rather than being turned away at the port. “I believe it’s the lie of the century that migrants are these people who landed out of nowhere, rather than established communities that go back long before even their own communities are aware of,” says Ali. The migrants were mostly men who hadn’t cooked at home, and started out as busboys and dishwashers mostly in Jewish restaurants before opening their own shops or carts. That many like Baul Dada remain poor is not because they aren’t successful, but because the money they make is sent back home to support their families. Who are the Knights of the Raj? [post_ads]These struggles are also usually invisible to their children, who have the luxury of pursuing their own dreams. This usually involves leaving behind what their parents built and making their own way. This is good, parents tell Ali — a restaurant wasn’t their dream, and it shouldn’t be their children’s either. 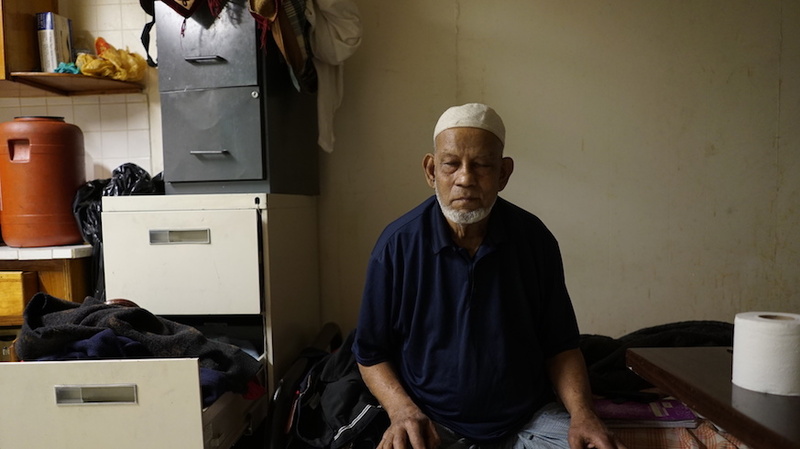 There’s even a happy ending for Baul Dada: Instead of buying him new furniture, Ali has donated the money to a community crowdfunding campaign to help him retire and return home.